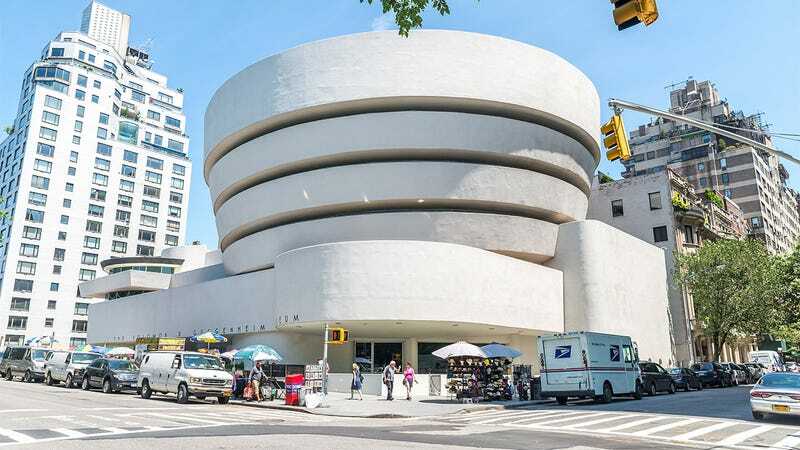 Since its grand opening in 1959, the Guggenheim Museum has been a capital of art and culture in New York City, and thanks to a massive fundraising campaign, it sounds like the building is in for some long-overdue repairs. The Guggenheim Museum has finally raised enough money to make their building look normal! It’s time for a much-needed renovation for one of the world’s most famous museums! Guggenheim director Richard Armstrong made the incredible announcement at a gala for the foundation’s patrons that the museum had finally completed the five-year fundraising push necessary to fix the museum so it finally looks the way a normal building is supposed to look instead of the bizarre, lopsided beehive situation they have now. Over raucous applause, Armstrong revealed that the Guggenheim raised over $400 million from patrons and everyday visitors, which will more than cover the cost of razing all the stuff that makes the museum look weird to the ground and finally making it look the way houses or malls do, with no domes or anything. Absolutely amazing. At long last, this blighted institution will be rebuilt into something normal and square. And with the demolition of the building’s off-putting oblong dome set for early 2019, maybe the Guggenheim can finally become an artistic hub fit for Manhattan!